Smooth processing with a lion shredder, strong shredding with two-axis electric direct-drive! 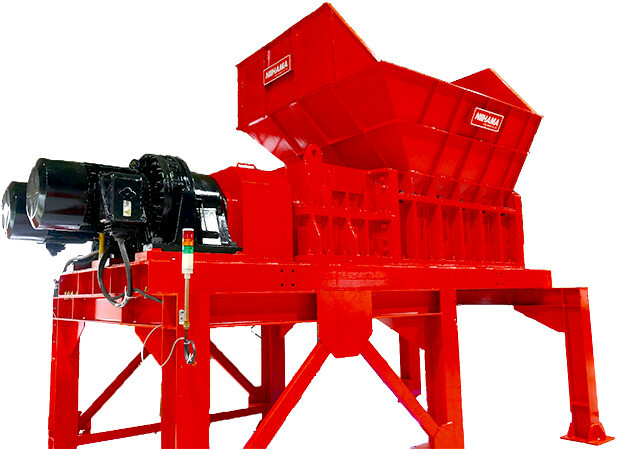 Our shredder can get great torque with small horsepower. By slowing down the two axes mounted on the cutter and rotating inward, a strong shear force can be obtained, crushing power is outstanding. The power source is an electric motor, and operation and maintenance are extremely easy. 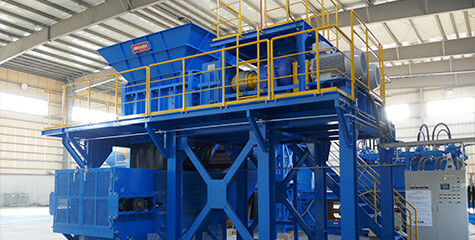 Noise, vibration, and dust are almost none, and a wide range of shredding is possible. 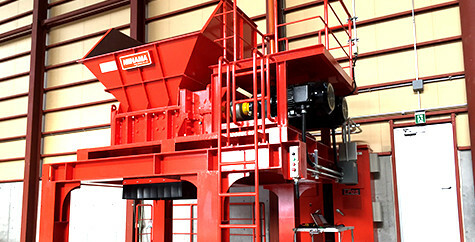 It is an essential shredding machine for resource recycling. When the foreign object　is bitten, it detects instantaneously and reverses. A sequence that minimizes the overload to the shredder. 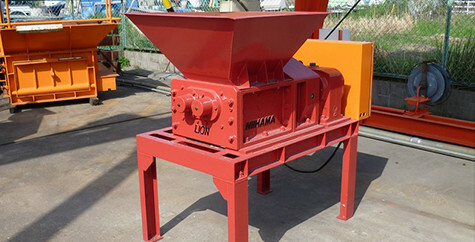 A powerful lion drive that synthesizes the output of two geared, with fewer reversals due to overloading the crusher. 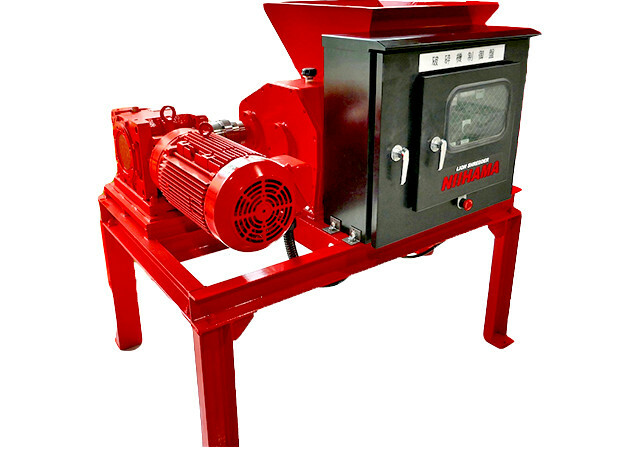 Because it is a low noise and low vibration crusher, there is no need for secondary measures such as soundproofing. A combination of　hexagonal shaft and hook number realizes strong crushing force. 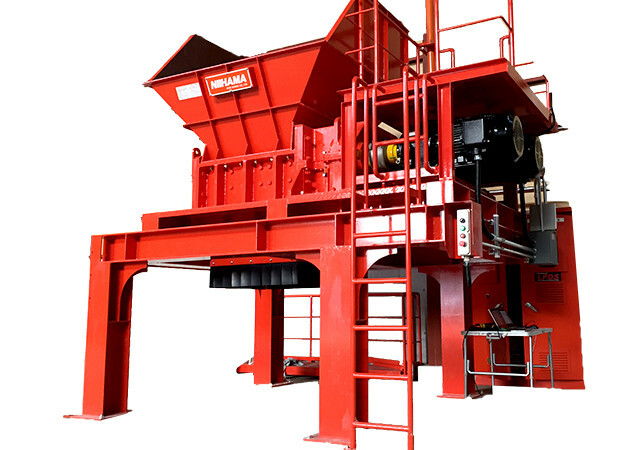 The shredding material allows the selection of the number of hooks, the thickness, and the layout, and particle size can be supported from coarse crushing to shredding. 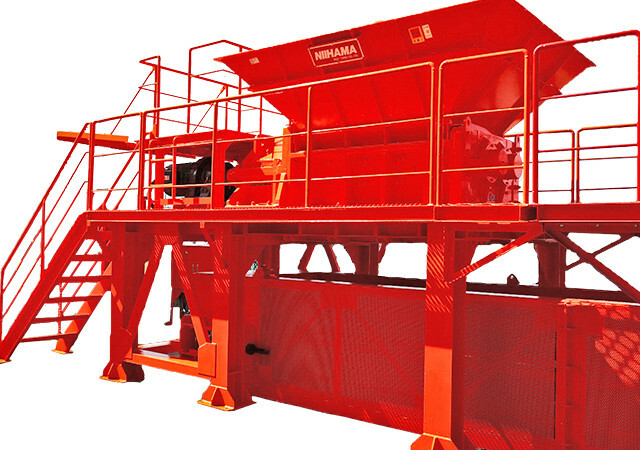 The shredding cutter is a structure that can be exchanged in the field, and maintenance and management are easy and low cost. 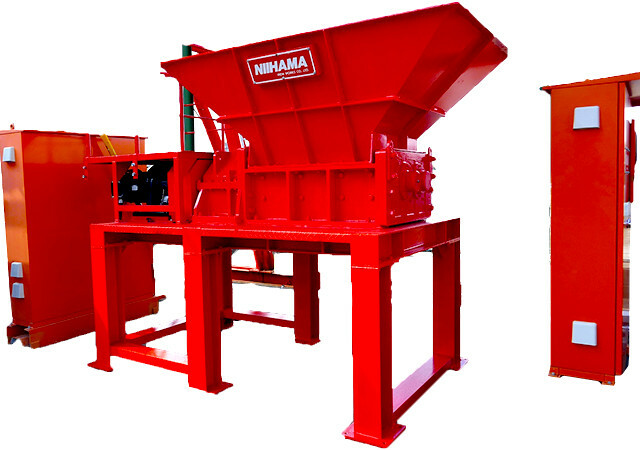 The shredding cutter using a strong special steel produced by joint development with two times the durability, the hardness, and the Niihama and the world's leading blast furnace steel makers. 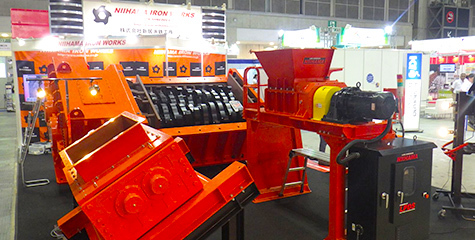 It is only a Niihama ironworks that is working on the development of the Cutter from the material in Japan. 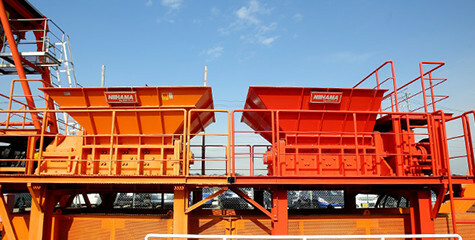 Our shredding machine has a record of more than 400 deliveries, so we have one of the best results in this industry in Japan. 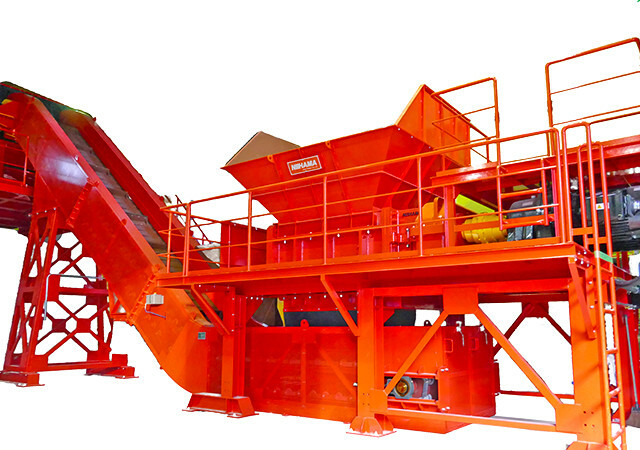 The center is soft, and the impact load that the shredder cannot avoid is distributed internally like the cushion. 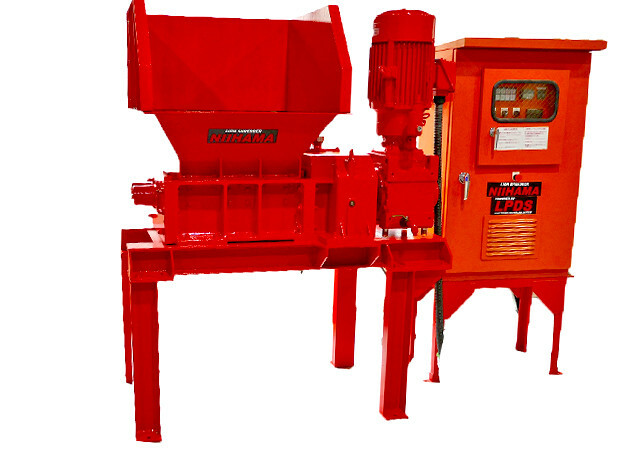 Two-axis shear type shredding cutter is replaced when it is not cut (when the gap becomes large). Only the part that is effective during shearing is particularly stiff, so the replacement cycle becomes longer. 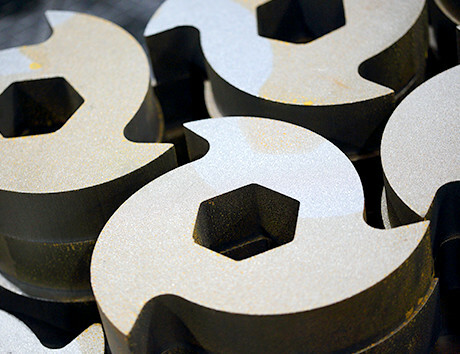 It is the average of the center of the hard surface and soft , and high strength. Because the inside is hold, it cracks in the normal use state, and there is no chipping. NIIHAMA IRON WORKS CO., LTD.